Fri., 6 Sep. - Mon., 30 Sep.
Fri., 4 Oct. - Wed., 16 Oct. 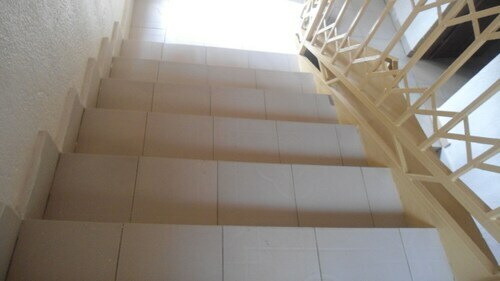 Sat., 14 Dec. - Tue., 14 Jan.
See all 203 properties in Kigali Intl. 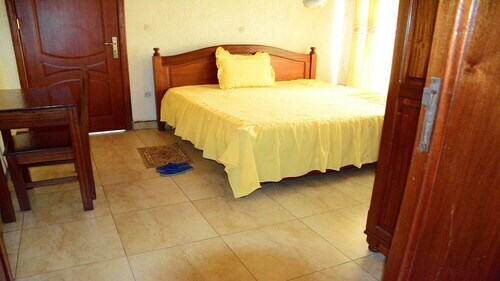 Situated in Kigali, this guesthouse is 1.8 mi (2.9 km) from Stade Amahoro and 2.7 mi (4.3 km) from Rwanda Development Board. Kigali Convention Centre and Presidential Palace Museum are also within 6 mi (10 km). 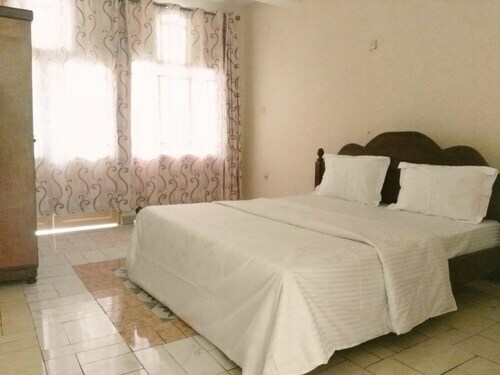 This family-friendly Kigali hotel is located near the airport, within 3 mi (5 km) of Stade Amahoro, Rwanda Development Board and Presidential Palace Museum. Inema Art Center and Ivuka Arts Kigali are also within 6 mi (10 km). Situated in Kigali, this villa is within 3 mi (5 km) of Stade Amahoro, Rwanda Development Board, and Presidential Palace Museum. Kigali Convention Centre and Inema Art Center are also within 6 mi (10 km). Situated in Kigali, this hotel is 1.5 mi (2.4 km) from Stade Amahoro and 2.3 mi (3.7 km) from Rwanda Development Board. Kigali Convention Centre and Presidential Palace Museum are also within 6 mi (10 km). 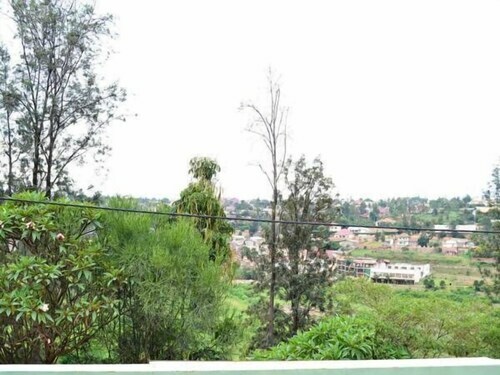 Situated in the suburbs, this guesthouse is 1.4 mi (2.3 km) from Stade Amahoro and 3.1 mi (4.9 km) from Kigali Convention Centre. Rwanda Development Board is 2.3 mi (3.6 km) away. 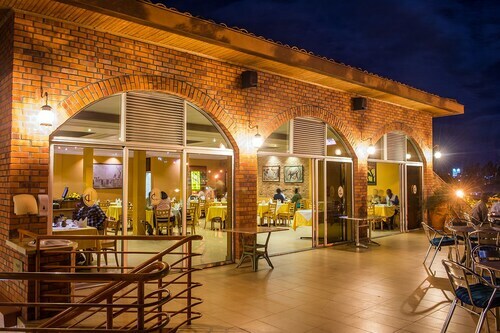 This family-friendly Kigali hotel is within 3 mi (5 km) of Stade Amahoro and Presidential Palace Museum. Inema Art Center and Ivuka Arts Kigali are also within 6 mi (10 km). Located in the heart of Kigali, this guesthouse is 1.1 mi (1.8 km) from Stade Amahoro and 2.8 mi (4.5 km) from Kigali Convention Centre. Rwanda Development Board is 2 mi (3.2 km) away. 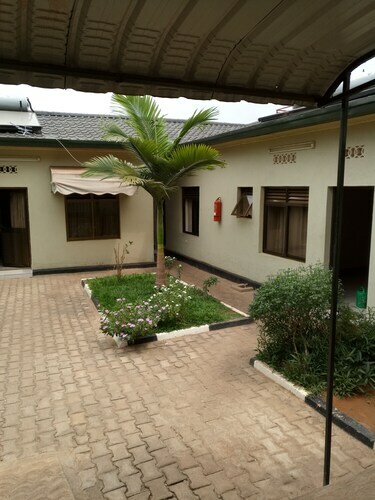 Located in Remera, this hotel is within a 15-minute walk of Stade Amahoro and Rwanda Development Board. Kigali Convention Centre and Inema Art Center are also within 3 mi (5 km). Question : What is the cheapest date to fly to Kigali? Answer : As of Apr 15th, the best day for deals to Kigali (KGL) is May 4th. Your ticket will cost $1,026, which is 72% less than this route's average price. Question : How much time do people spend in Kigali? Answer : The average time spent in Kigali by passengers from Toronto is 10 days. However long you decide to stay, give yourself plenty of time to see what makes Kigali fantastic. Question : How much is a plane ticket to Kigali (KGL) from Toronto (YYZ)? Answer : Prices can vary anywhere from $1,026 to $10,487. Booking far in advance can normally help you get the cheapest ticket. However, usually the sooner you book, the better price you get. Answer : The cheapest day to fly from Toronto to Kigali is on Friday. If you want to save a little cash on your next holiday look for flights on Friday. Answer : Yes, you can adjust your departure or arrival date. If you would like to save a little money in doing so, the cheapest day to fly in April is Friday. If you like to go with the flow, you may just find that you can pocket some additional money that you can use for future trips. Question : What is the cheapest airline flying from Toronto to Kigali? Answer : Flight prices are hitting as high as $10,487 over the next three months when flying to KGL from YYZ. Check out Lufthansa, as they have ticket reservations at just $1,026.